Phoenix is the capital and most populous city of the U.S. On the 13th (Fri), admire all the interesting features of Chase Field and then take in nature's colorful creations at Desert Botanical Garden. To find ratings, more things to do, traveler tips, and other tourist information, you can read our Phoenix trip itinerary builder . The Route module can give you travel options from your home to Phoenix. In September in Phoenix, expect temperatures between 99°F during the day and 78°F at night. Wrap up your sightseeing on the 13th (Fri) to allow time to drive to Grand Canyon National Park. On the 14th (Sat), take some stellar pictures from Mather Point, then make a trip to Powell Point, and then get great views at Hopi Point. For where to stay, reviews, traveler tips, and tourist information, use the Grand Canyon National Park trip planner. Traveling by car from Phoenix to Grand Canyon National Park takes 4 hours. Traveling from Phoenix in September, expect Grand Canyon National Park to be cooler, temps between 75°F and 43°F. You will have some time to spend on the 15th (Sun) before leaving for Zion National Park. On the 15th (Sun), trek along Angel's Landing. 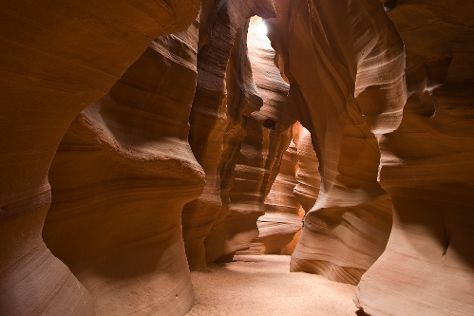 Keep things going the next day: explore the wealth of natural beauty at The Narrows. To see reviews, where to stay, ratings, and more tourist information, you can read our Zion National Park day trip site . Use the Route module to find suitable travel options from Grand Canyon National Park to Zion National Park. When traveling from Grand Canyon National Park in September, plan for a bit warmer days in Zion National Park, with highs around 84°F, while nights are about the same with lows around 48°F. Wrap up your sightseeing on the 17th (Tue) to allow time to drive to Bryce Canyon National Park. Kick off your visit on the 18th (Wed): trek along Rim Trail, tour the pleasant surroundings at Bryce Amphitheatre, then look for gifts at Ruby's Inn Canyon Rock Shop, and finally trek along Navajo/Queens Garden Loop. For other places to visit, more things to do, reviews, and tourist information, go to the Bryce Canyon National Park trip planning website . You can drive from Zion National Park to Bryce Canyon National Park in 3 hours. In September, Bryce Canyon National Park is slightly colder than Zion National Park - with highs of 70°F and lows of 40°F. On the 19th (Thu), you'll have the morning to explore before heading off to Page. Start off your visit on the 19th (Thu): take in the dramatic natural features at Horseshoe Bend and then take in breathtaking views at Antelope Canyon. To see where to stay, more things to do, and tourist information, go to the Page road trip planner . You can do a combination of car and shuttle from Bryce Canyon National Park to Page in 3 hours. Alternatively, you can drive. When traveling from Bryce Canyon National Park in September, plan for a bit warmer days in Page, with highs around 86°F, while nights are much hotter with lows around 63°F. Finish your sightseeing early on the 19th (Thu) so you can drive to Sedona. Kick off your visit on the 20th (Fri): identify plant and animal life at Red Rock State Park and then explore the striking landscape at Cathedral Rock. To plan Sedona vacation without wasting time, ask Inspirock to design an itinerary. You can drive from Page to Sedona in 3.5 hours. Alternatively, you can do a combination of flight and taxi; or do a combination of flight and shuttle. In September, plan for daily highs up to 85°F, and evening lows to 63°F. On the 21st (Sat), you'll have the morning to explore before heading off to Phoenix. Kick off your visit on the 21st (Sat): admire the architecture and history at Old Adobe Mission and then push the limits with an extreme tour. On your second day here, see the interesting displays at Musical Instrument Museum, look for all kinds of wild species at McDowell Sonoran Preserve, and then pause for some serene contemplation at Our Lady of Perpetual Help Church. To find maps, more things to do, other places to visit, and more tourist information, you can read our Phoenix trip itinerary builder . Traveling by car from Sedona to Phoenix takes 2.5 hours. Alternatively, you can do a combination of taxi and flight; or take a shuttle. Plan for somewhat warmer temperatures traveling from Sedona in September, with highs in Phoenix at 99°F and lows at 78°F. Finish your sightseeing early on the 22nd (Sun) to allow enough time to travel back home.